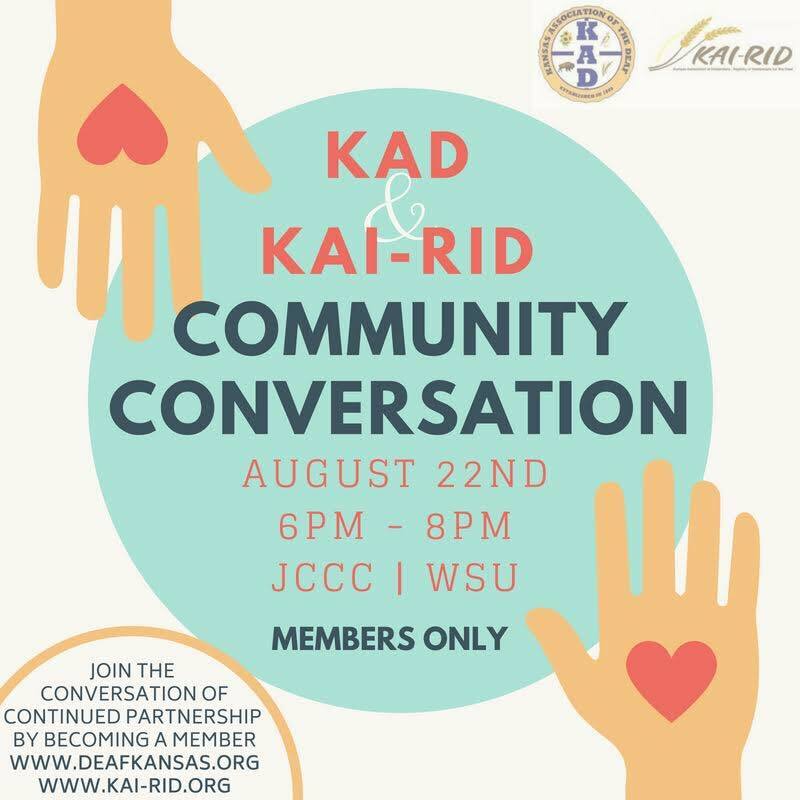 KAI – RID | KAI-RID is here for YOU! 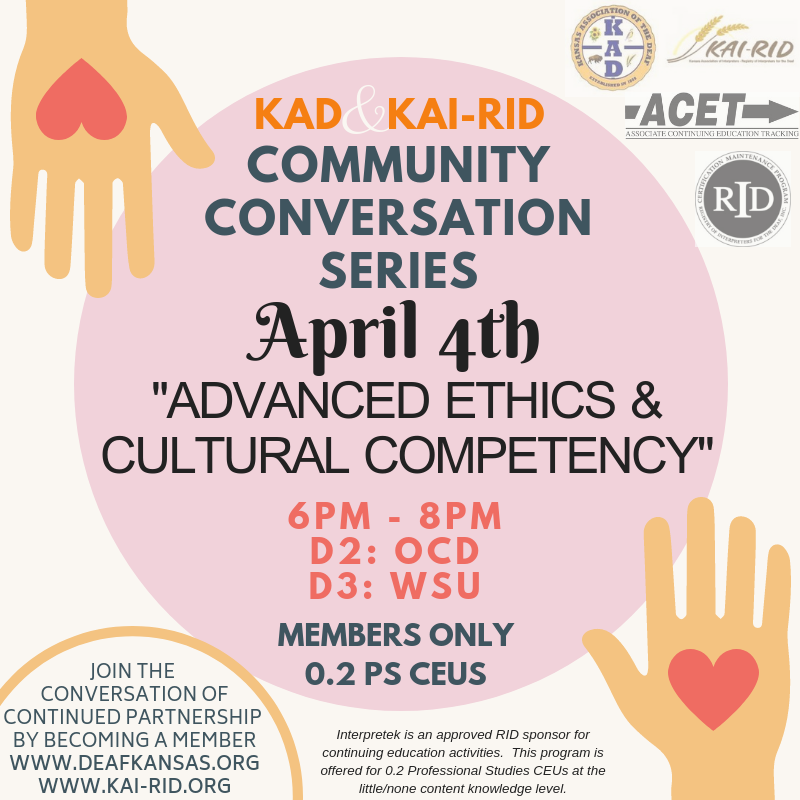 Join us for our next Community Conversation, “Advanced Ethics and Cultural Competency,” in partnership with KAD! 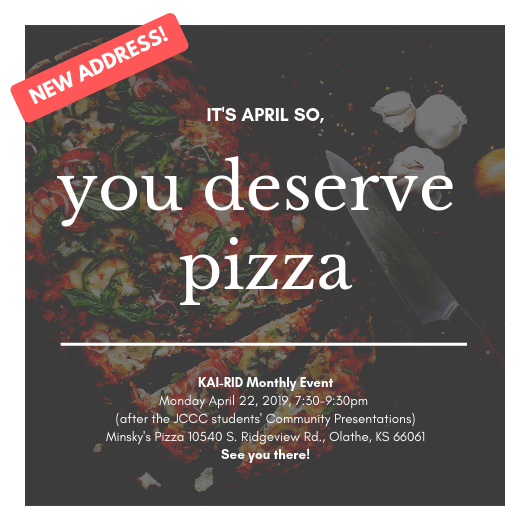 It will be held on April 4th from 6:00-8:00pm at the Olathe Club for the Deaf, 221 S Chestnut St, Olathe, KS 66061, with a live streaming option at Wichita State University, 1845 Fairmount St, Wichita, KS 67260. This workshop is approved for 0.2 Ethics CEUS and is also a free, members only event. If you would like to become a member, please see our membership page! 2018-2019 Membership year is now OPEN for renewals! Head to our Membership page to renew for the 2018-2019 year! 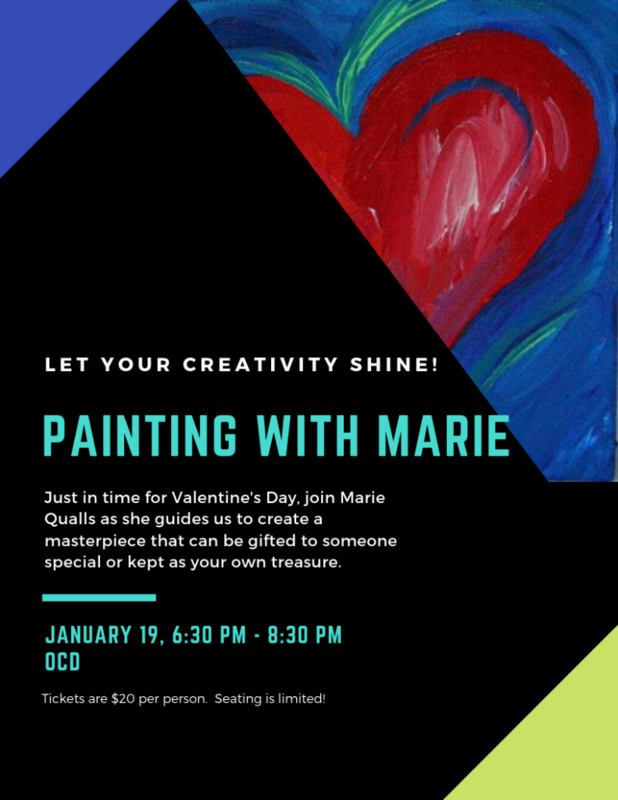 We have great things planned for this year that you don’t want to miss! Plus, the Board is planning an exclusive professional development opportunity for those who renew before September 30th. Stay tuned!